Liven up everyday bed furnishings with the graphic cross pattern of the Pure Cotton Sheet Set. This distinctive sheet set is made of soft 250 thread count cotton and comes in three versatile colourways designed to complement a wide range of bedding: black crosses on white, sweet pink crosses on white and fresh white crosses on soft grey. Sheet sets are an essential bedding item for busy households. 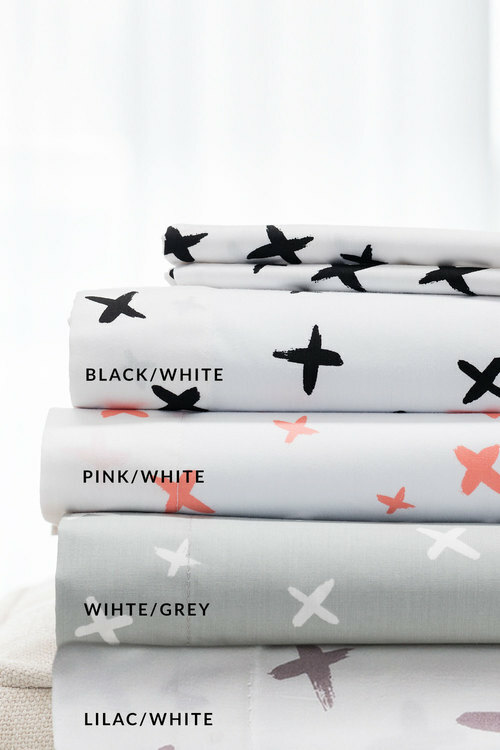 The whole family will love the contemporary design of the Pure Cotton Sheet set, and that quality soft cotton feels as good as it looks, too.